Little, Brown Books for Young Readers has cut a multi-year deal with Lego to publish a line of children's books and graphic novels. The books and graphic novels will be set in Lego worlds based on the Lego Ninjago, Lego Friends and Lego Bionicle lines. They will also be available in ebook formats. Each of these three Lego lines has its own universe and rich characters that can easily be translated into children's books. The books will likely be popular with kids who enjoy playing with the Lego sets and are vary familiar with the characters in each universe. Lego Friends is a line of Lego products targeted at girls that launched in 2012. 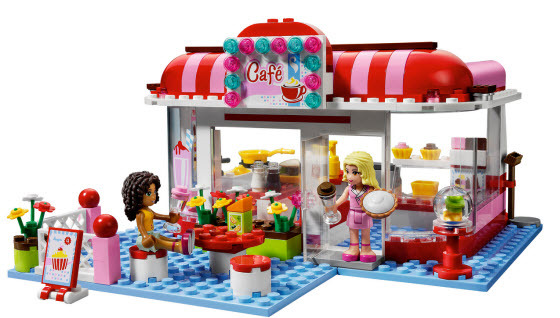 An image of a Lego Friends cafe set is pictured below. 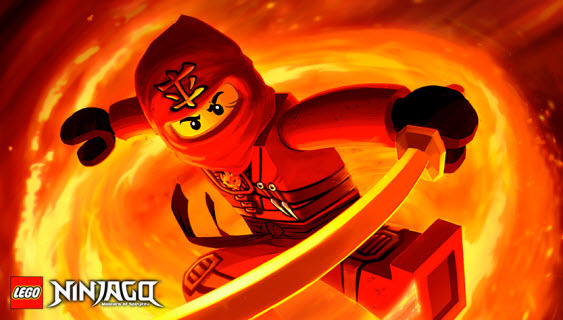 Lego Ninjago is a ninja-themed universe. It is also currently an animated series on the Cartoon Network. The Bionicle line was relaunched in September 2014 after being discontinued in 2009. It is set in a science fiction universe with intelligent creatures that are part organic and part machine. The graphic novels will be the first to launch. They will arrive in bookstores in September 2015 and cost $7.99 each. This puts them on store shelves in plenty of time for the holidays. Little, Brown plans to reveal more about the books at San Diego Comic-Con in July.